It is with pleasure that we invite the community to our AGM on Thursday 13th December at our Ambulatory Care Centre at 5:00pm. There will be light refreshments on arrival. This year’s guest speaker is Moira Kelly who will speak on how she started her humanitarian work, the places she visited in her work, the children she’s looked after and a focus on Ahmed and Emmanuel Kelly (from Iraq) and Trishna and Krishna (co-joined twins from Bangladesh). 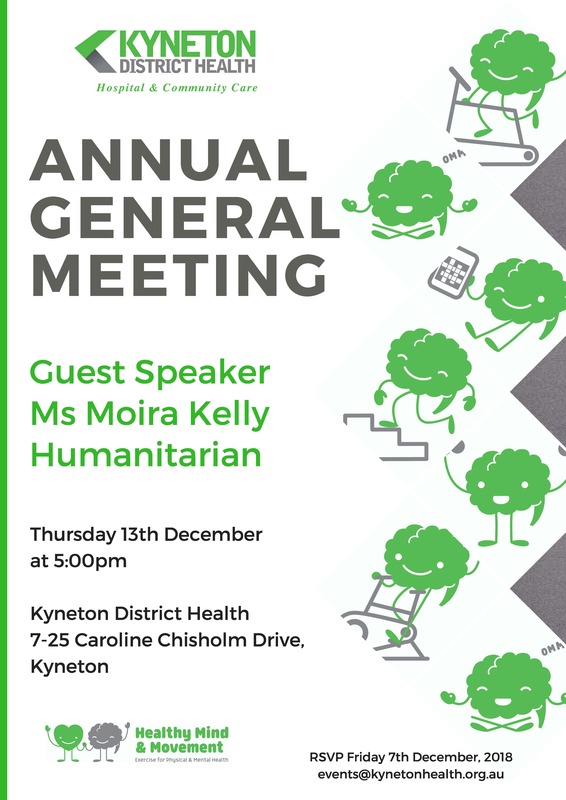 Please RSVP by Friday 7th December to events@kynetonhealth.org.au.